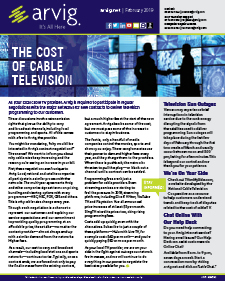 Why do cable television rates keep increasing? Part of the increase is the result of higher programming fees charged to providers from the mega corporations that own TV networks. Learn more in the February 2019 newsletter.